If your lawyer doesn't know your story, nobody will. The team at Maknoon & Associates recognizes that preparing a winning case begins with building a relationship with the client and learning your side of the story. Built to fight for your freedom. Criminal accusations demand a serious defense. When your future is at stake you need experienced, knowledgable and passionate lawyers who know the law and relentlessly fight for your rights. Make the right decision by choosing Maknoon & Associates, LLC. Courage to go the distance. When faced with criminal charges, you NEED lawyers with experience and a proven record of success. You NEED a legal team that will go the extra mile to protect your rights. You want Maknoon & Associates, LLC. In a perfect world, protecting and asserting your rights wouldn't be that difficult. But our world is much more complicated. If you are in a legal dispute, you need sound legal advice and strong action to achieve your goals. 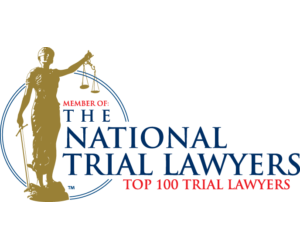 Trial-tested attorneys to defend your rights. Maknoon & Associates, LLC is a full-service law firm dedicated to providing professional and thorough legal counsel in state and federal criminal defense and civil litigation. Since 2003, our firm has built an exceptional reputation for being a dominating presence in the courtroom. We regularly represent individuals in high profile prosecutions and complex civil matters at both the state and federal levels.